The team at Adventure Playground are an outstanding bunch to work with. Not only do they operate one of the North island’s favourite outdoor activities venues, they have great fun doing it. Steve & Linda love hosting kiwis and overseas tourists just as much as we love developing websites. 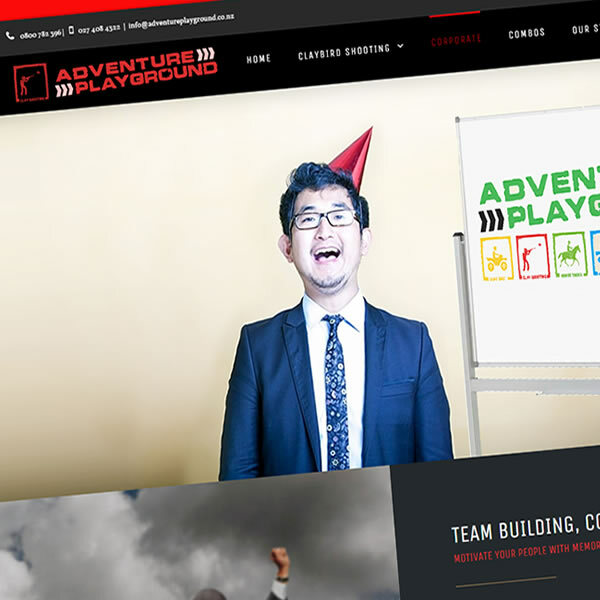 Adventure Playground operates 4 key websites, each highlighting one of their four activities. The ClayBird Shooting redevelopment is just one of a series of new websites for 2016. Exciting times !! Make sure you visit the website or pop on through to our portfolio page for an overview of how we tackled this awesome project.